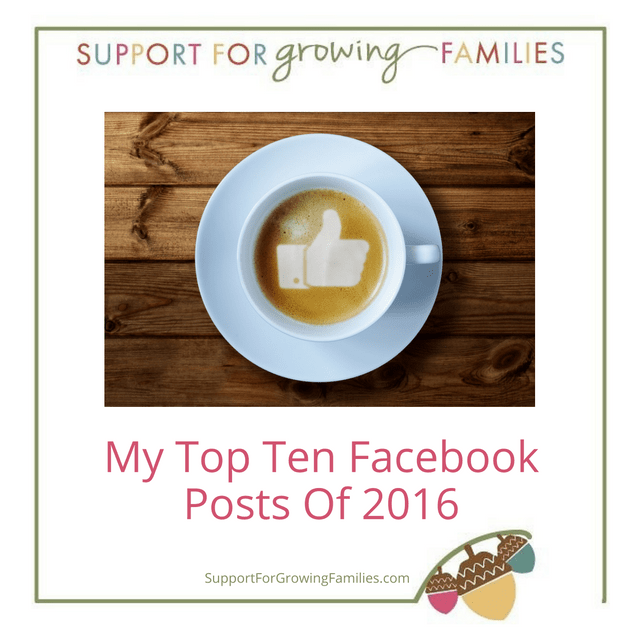 It’s fun to look back over my Facebook business page posts from last year to see which ones you parents liked the best, based on the number of views. Have you seen them all? Looking at these posts as a group, they affirm what I already know about you: you care deeply about being the best parents you can be; you want the best for all children, not only your own; you respect your children and you respect that parents can make different choices from yours, and you have learned that parenting is harder than you ever dreamed it could be. You are working hard, And, finally, it looks like we are all suckers for a clever pregnancy video or a set of twins! Here are your favorites from this past year, along with the comments I included in my original post. Painful realities: “Poverty is a more powerful influence on the outcome of inner-city children than gestational exposure to cocaine,” Hurt said at her May lecture. This list is worth putting up on your fridge! Super adorable time-lapse pregnancy! Worth taking a minute to watch! You might also like to check out my other blogs on Being Parents!